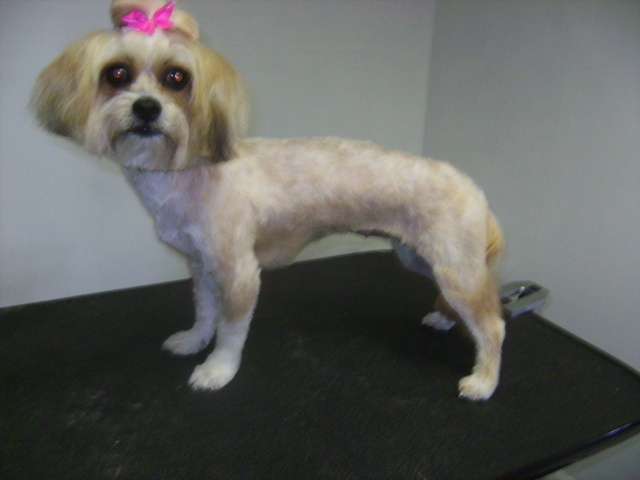 This sweet little Lhasa/poodle mix came to me for her first haircut in March. I just took a little off, leaving her a fluffy puppy. A few months and a bunch of tangles later Bella came back for a summer cut. With a light colored a thinner coat, the 4F looks short, but it will help keep her cool and be easier for her owners to maintain.